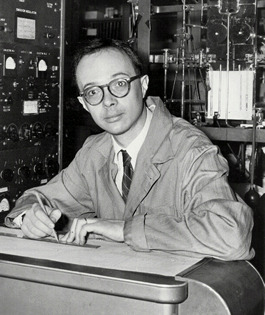 Stable Isotope Research in Miami was started in the late 1950s by Cesare Emiliani when he moved down from Chicago after completing his second Ph.D. thesis with Harold Urey. He brought with him reputably the third Chicago machine ever built (we still have this instrument). With this he carried out research throughout the 1960s and in 1970 he purchased a Micromass 602B (I still have that instrument). That instrument continued to work until he bought a VG Prism in 1985. Cesare retired in 1994 and died in 1995. 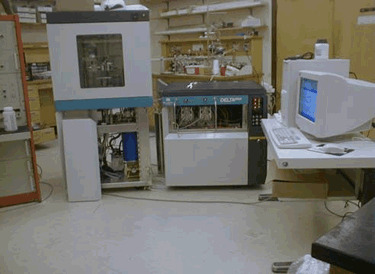 The current stable isotope laboratory at RSMAS was started in 1985 by Peter Swart with the purchase of a Finnigan-MAT 251 under NSF grant EAR-8417424. This machine is a large radius instrument equipped with microsample inlet, 5 fixed collectors, and an automated sample inlet and multi-port. The machine was controlled by an Apple IIE microcomputer. Additional equipment was purchased under NSF grants EAR-8618727 and EAR-9018882. This included an automatic carbonate device known as a Fairbanks device and an upgrade from the Apple IIE computer system. All these items as well as the original mass spectrometer were cost shared 50% by the University of Miami and NSF. This machine has performed extremely well and to date has run over 2,000,000 samples in 30 years of operation. Two additional instruments, funded by the Ocean Sciences division of NSF, were added in September 1997. Both of these are manufactured by Europa. The first instrument is a an Europa 20-20 interfaced to a ANCA-GSL. The second instrument is a GEO-20-20 attached to a HP-6890 and a water equilibration device. These instruments have processed many thousands of samples (GEO has processed 20,000 water samples for oxygen and hydrogen; ANCA has analyzed about 400,000 carbon and nitrogen samples). The GEO is currently switched off but still potentially operational. Funds for an instrument to replace the Finnigan-MAT 251 were awarded by NSF in August 2000 and a Delta-Plus with Kiel III device was purchased for installation February 2001. 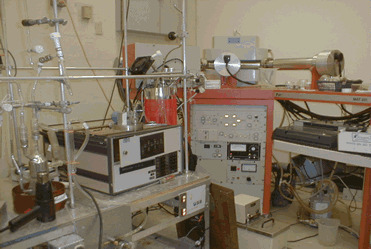 This instrument was installed in April 2001 and has operated more or less to expectations. The Finnigan-251 is also still operating giving us the capability of processing 47 large and 46 small samples in a 24 hour period. A Kiel III was donated by Andrea Grottoli in 2018. A Varian ICP-OES was purchased using internal funds in September 2002. This instrument give us the capability to make minor element analysis on corals and sclerosponges. An interface was constructed for extracting gases at low concentrations from liquids. This is used for measuring N2O, O2, CH4, and O2. An additional ANCA (ASA) was 'acquired' which has been converted for the preparation of sulfur isotopes. A MRI grant from NSF (2005) allowed replacement of our X-ray diffractometer with a Panalytical instrument. An additional Fairbanks device and 251 were purchased and donated to the laboratory for spares in 2005. The 251 is kep going by donations from other labs including labs of Jim Kennett, Kacey Lohmann, and Howie Spero. A grant was awarded by NSF to purchase a new 'Clumped' mass spectrometer in 2009. Two instruments have been purchased, a Delta Advantage and a Thermo 253. The Delta Advantage has an EA and a Trace Gas system. The 253 is interfaced to a second Kiel and is being used for 'Clumped' isotopes. The old DH and manual carbon combustion line has been converted to a clumped extraction line. The line can do both the GC and vacuum method. A grant was awarded by DOE to study CCS. 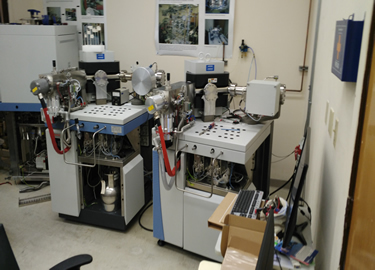 Two Picarro Cavity ring-down spectrometer have been purchased in 2010. A Picarro CRDS was purchased in 2011 for analysing DH and 18O in waters. Analysing seawater to the claimed precision is a work in progress. The instrument was upgrade to measure O17 and a device built to analyze fluid inclusions.